What’s more memorable than a trash the dress in Italy? But in the meantime, what does Trash the dress in Italy means? Of course, it does not always get along with tradition …. It’s the latest trend, so called “trash the dress“, that means to destroy the dress, a name that does not leave much room for interpretation. 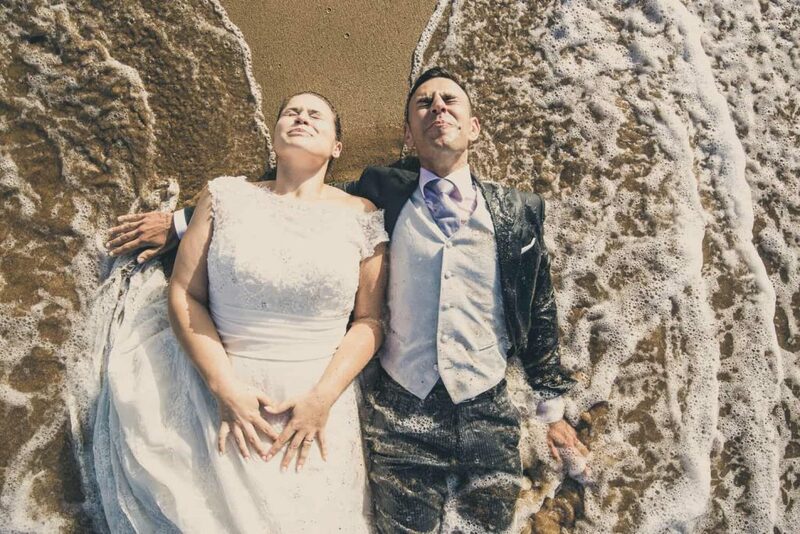 “Trash the dress” is a photo shoot that is made after the wedding, in which the newlyweds are immortalized in settings, spectacular and entertaining scenes: a beach, in the countryside or in any other suggestive place. And with Simona and Valerio, we had a lot of fun. A couple of days after the wedding, we went at the beach of Santa severa, just below the castle.